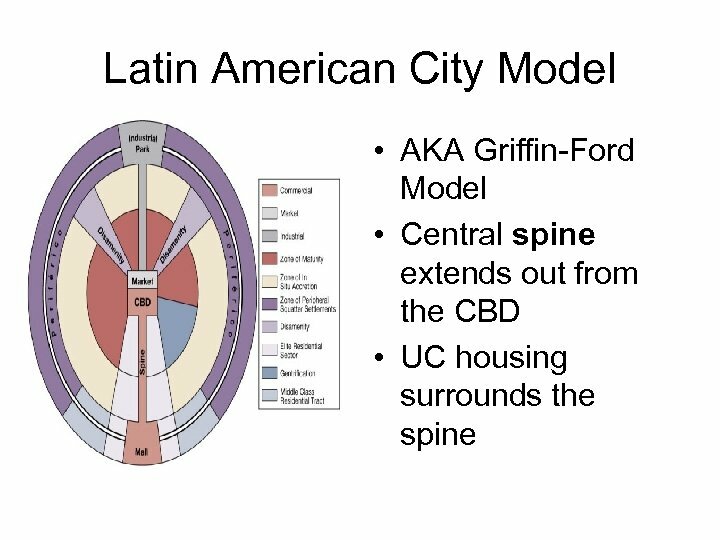 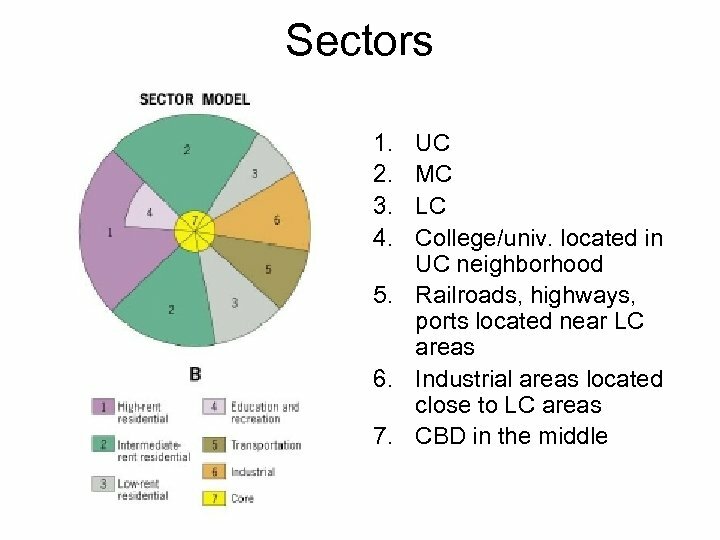 How are Cities Organized, and How do they Function? 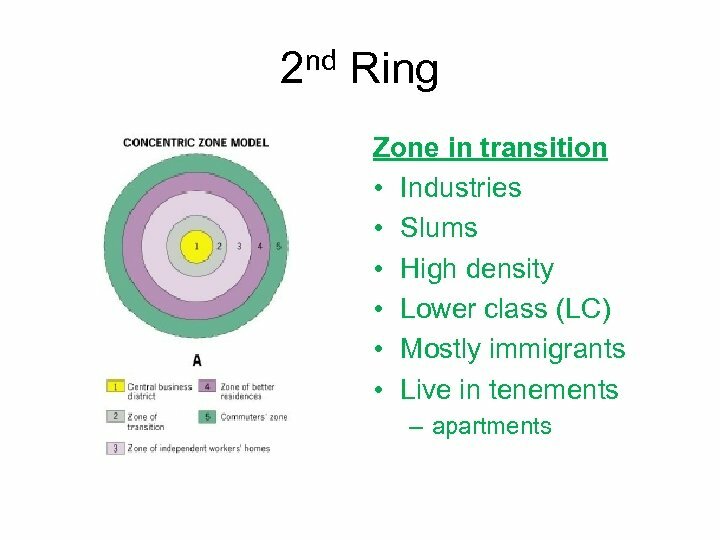 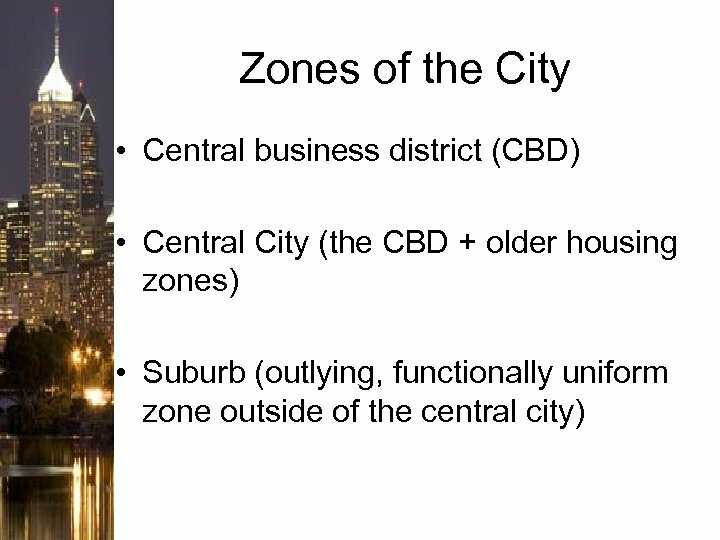 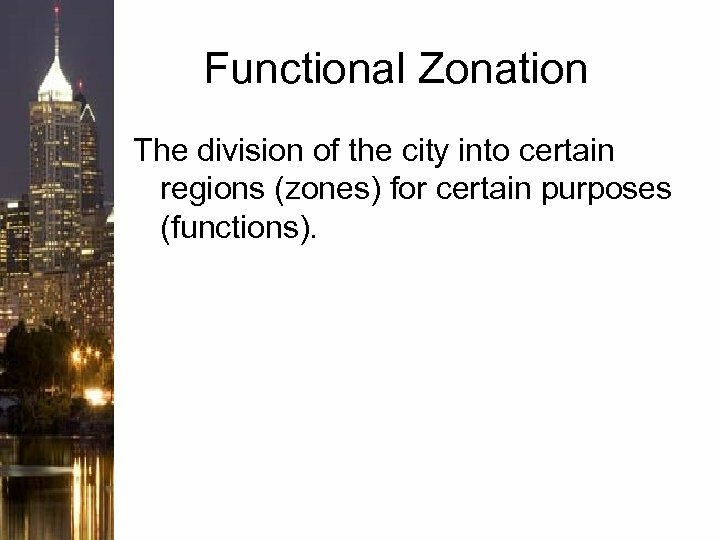 Functional Zonation The division of the city into certain regions (zones) for certain purposes (functions). 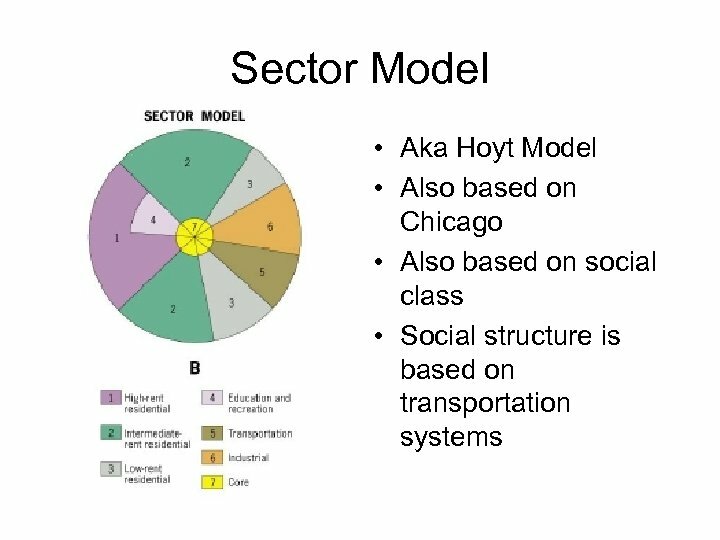 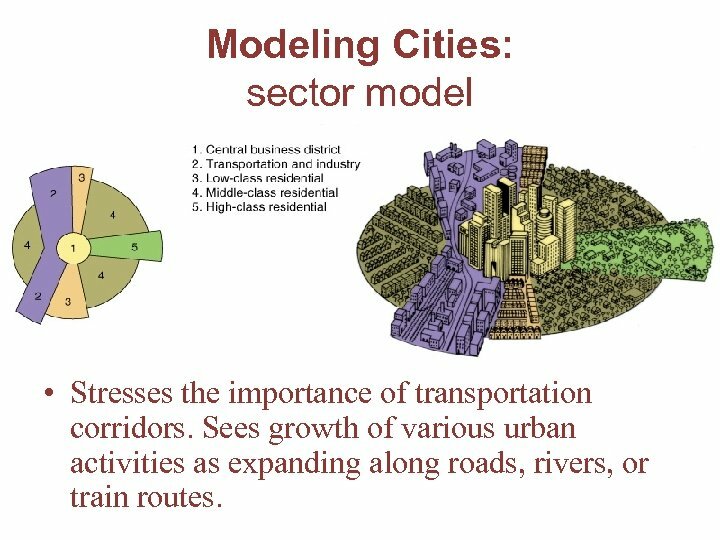 Modeling Cities: sector model • Stresses the importance of transportation corridors. 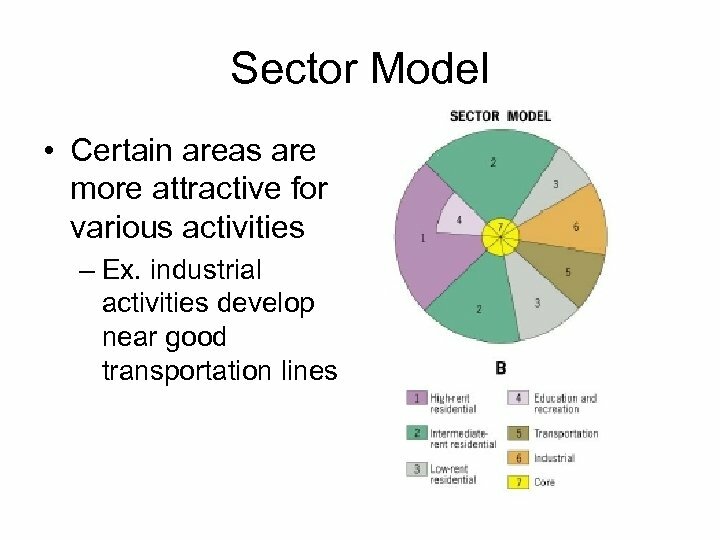 Sees growth of various urban activities as expanding along roads, rivers, or train routes. 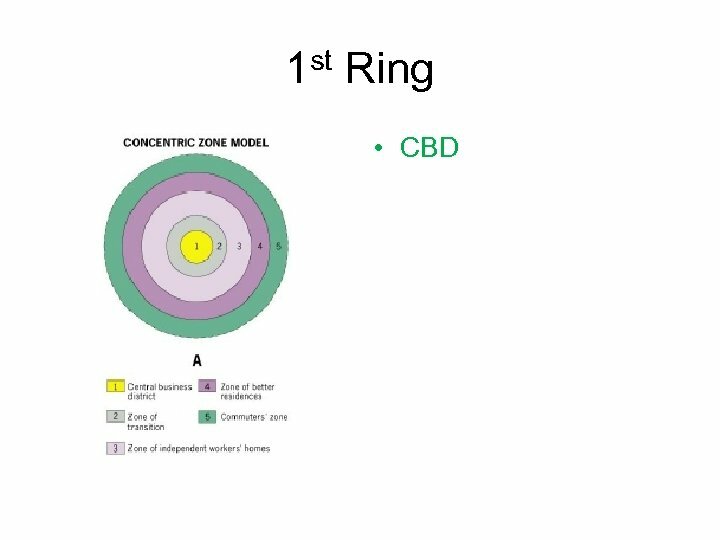 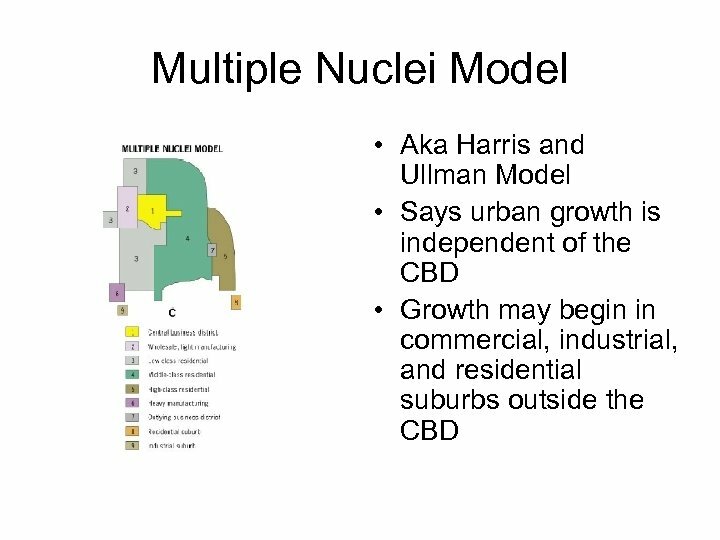 multiplenuclei model Stresses the importance of multiple nodes of activity, not a single CBD. 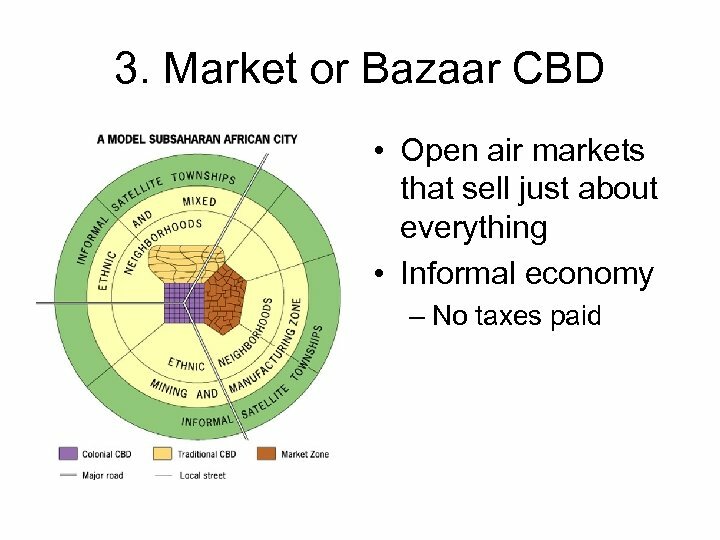 Ports, airports, universities attract certain uses while repelling others. 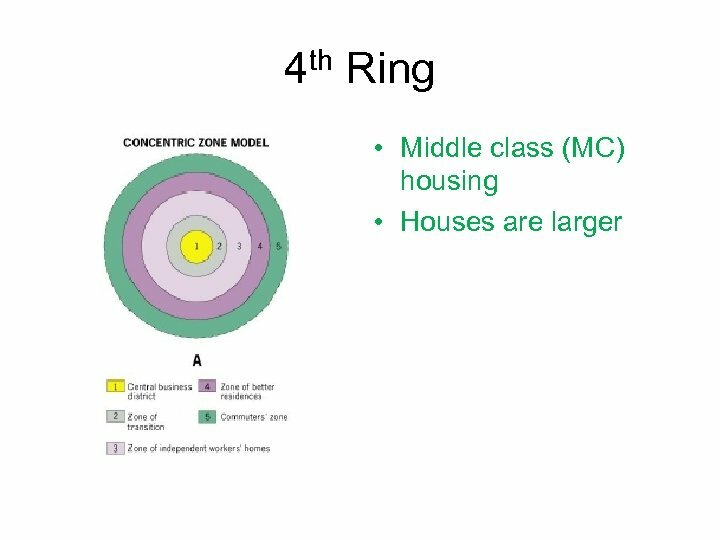 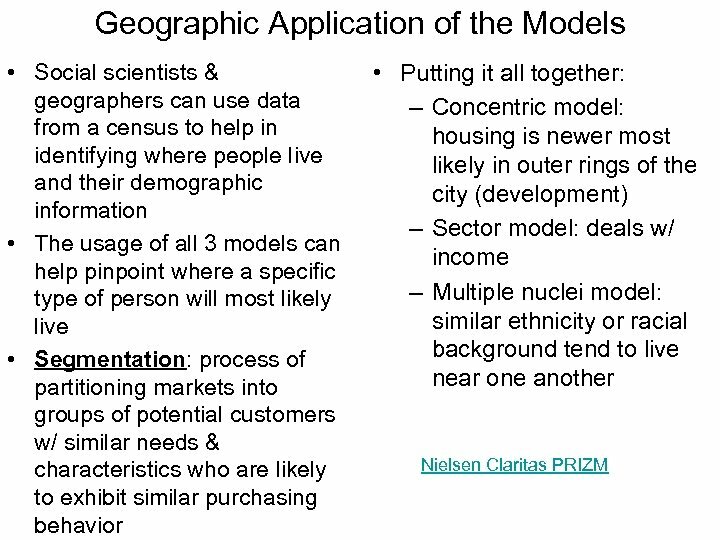 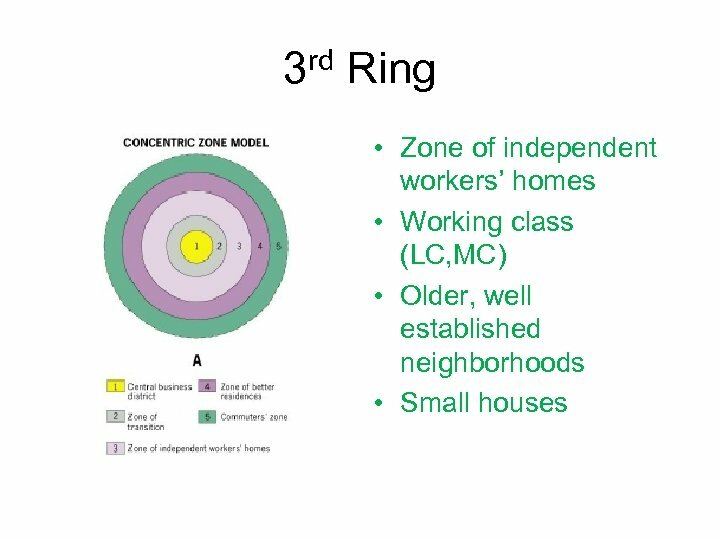 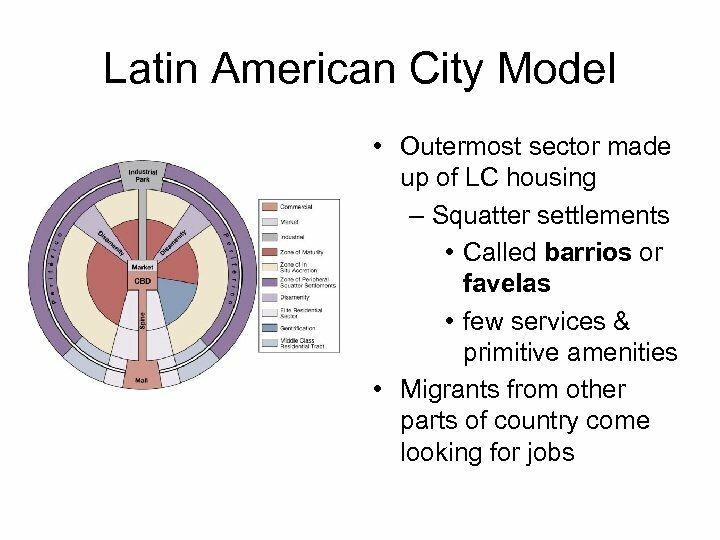 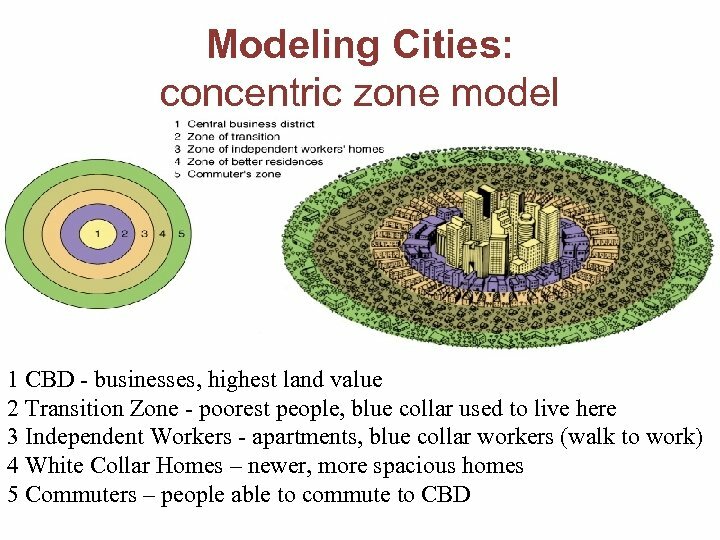 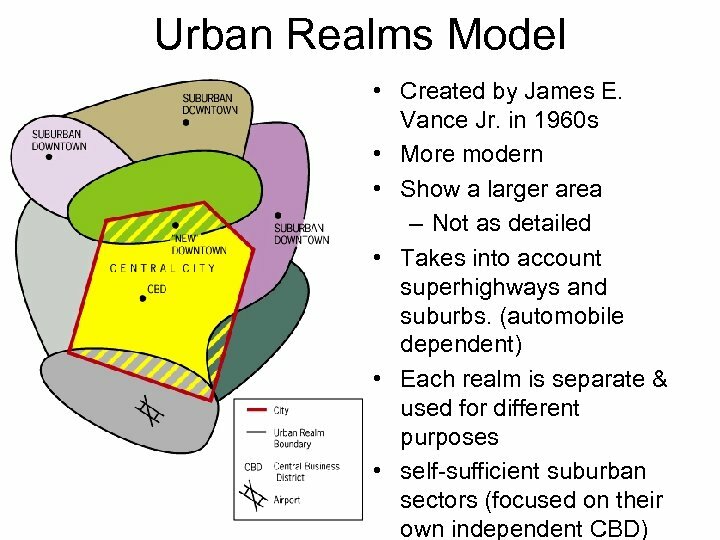 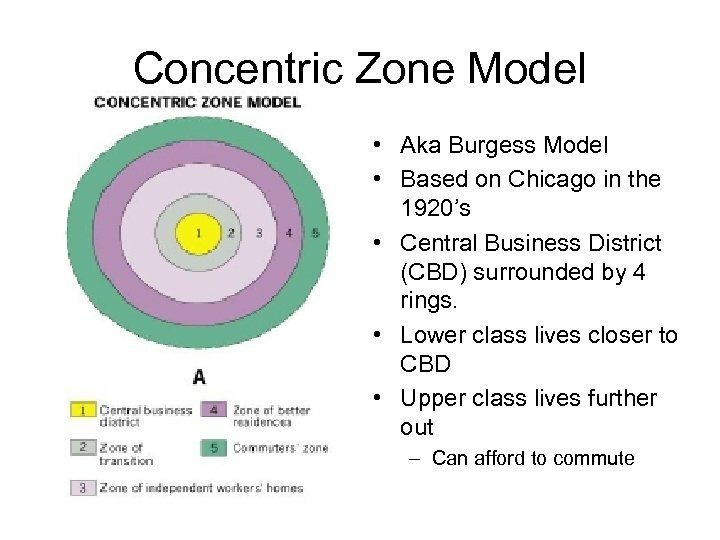 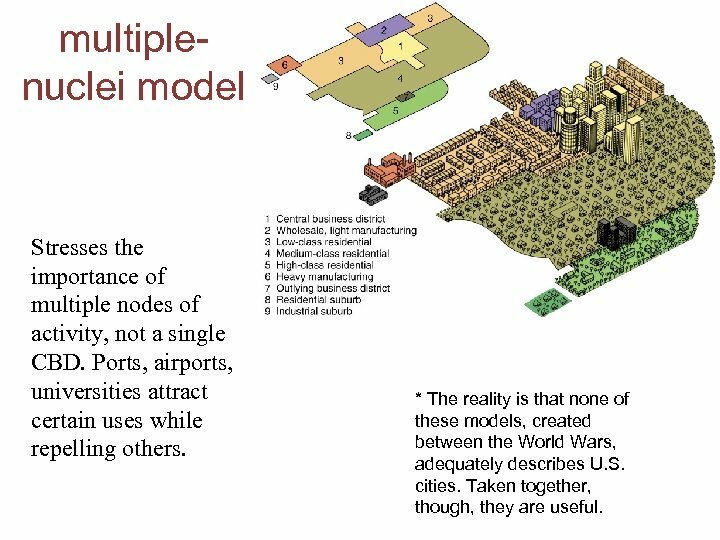 * The reality is that none of these models, created between the World Wars, adequately describes U. S. cities. 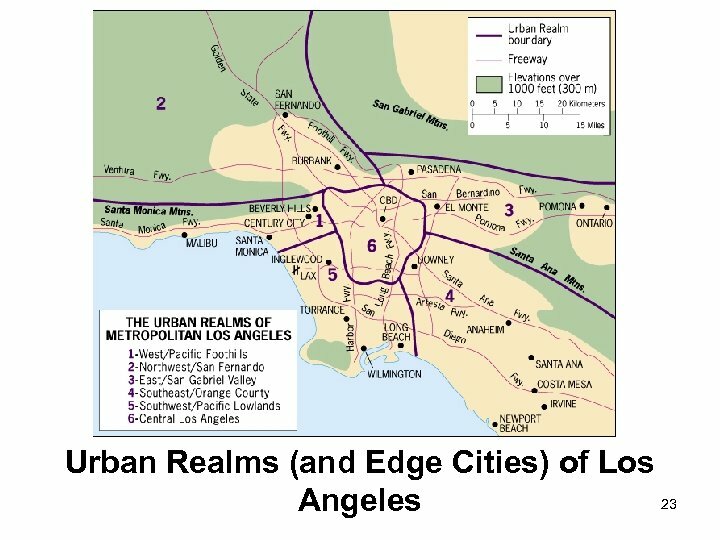 Taken together, though, they are useful. 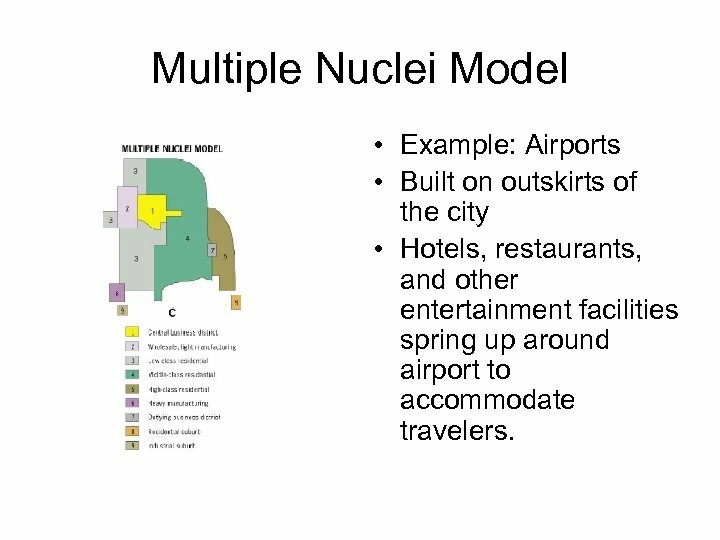 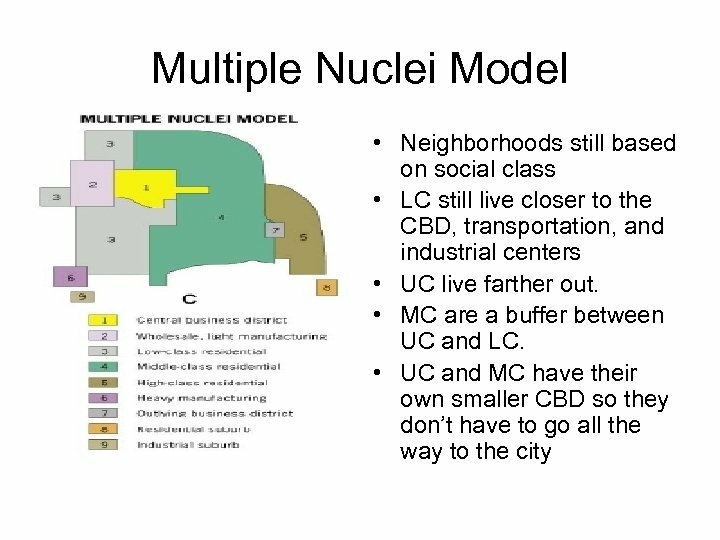 Multiple Nuclei Model • Example: Airports • Built on outskirts of the city • Hotels, restaurants, and other entertainment facilities spring up around airport to accommodate travelers. 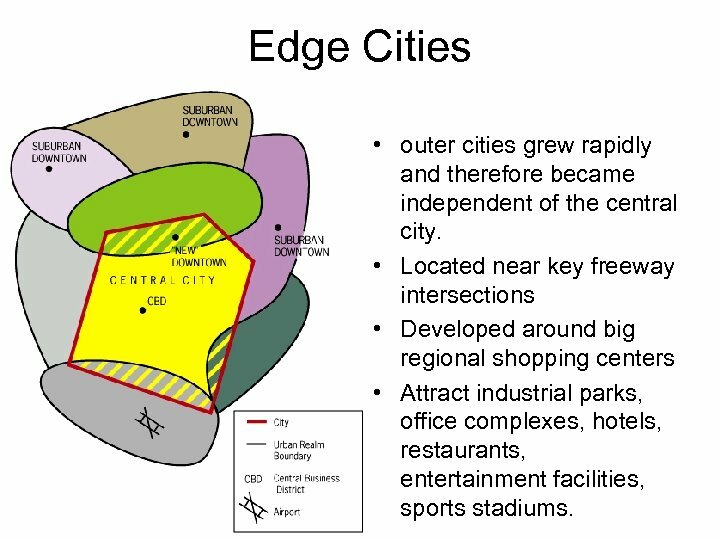 Edge Cities • outer cities grew rapidly and therefore became independent of the central city. 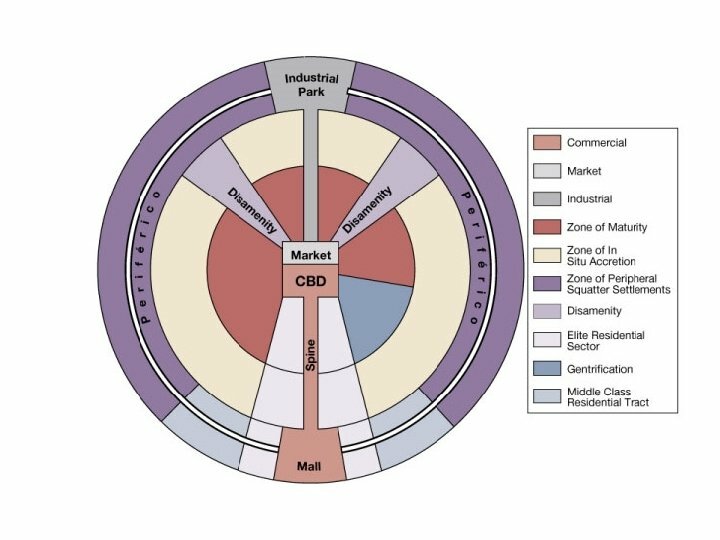 • Located near key freeway intersections • Developed around big regional shopping centers • Attract industrial parks, office complexes, hotels, restaurants, entertainment facilities, sports stadiums. 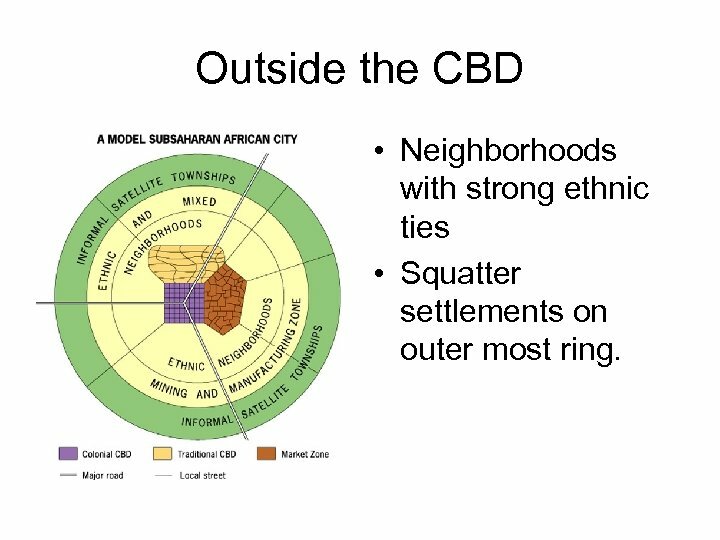 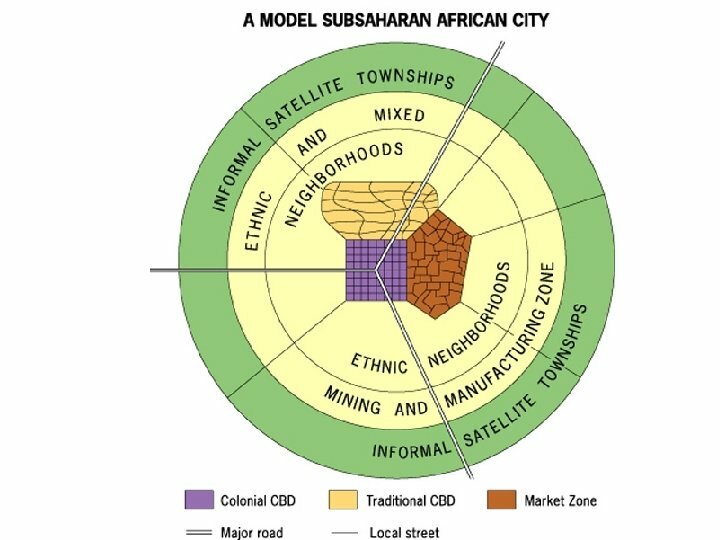 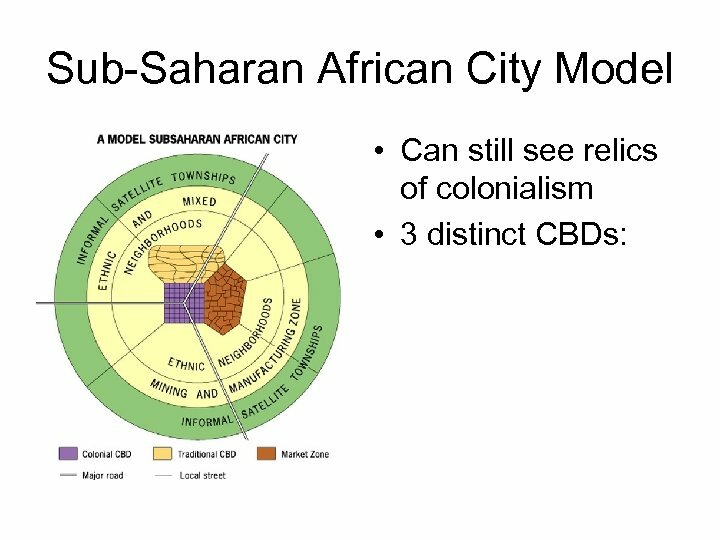 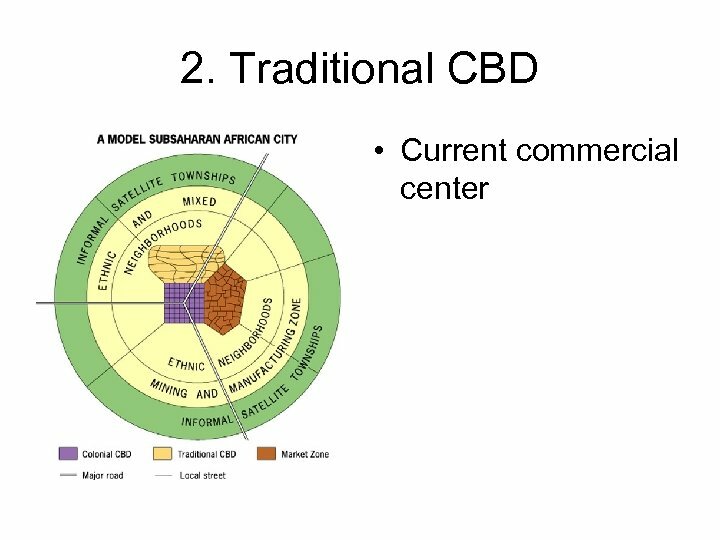 Outside the CBD • Neighborhoods with strong ethnic ties • Squatter settlements on outer most ring. 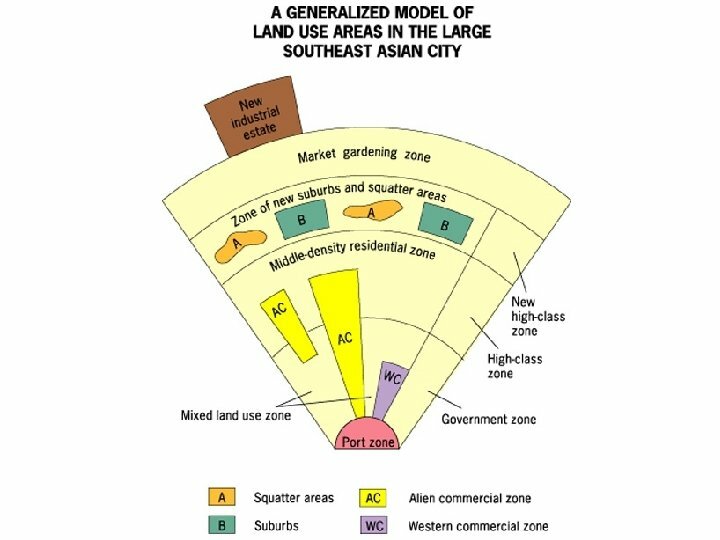 Southeast Asian City • AKA Mc. 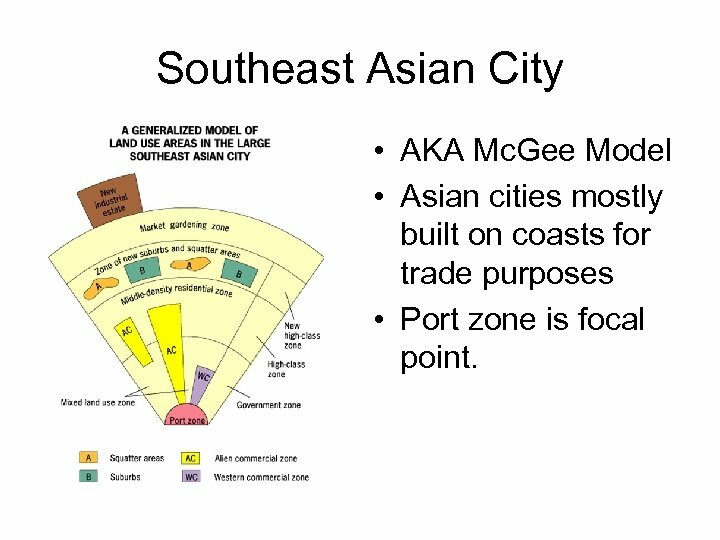 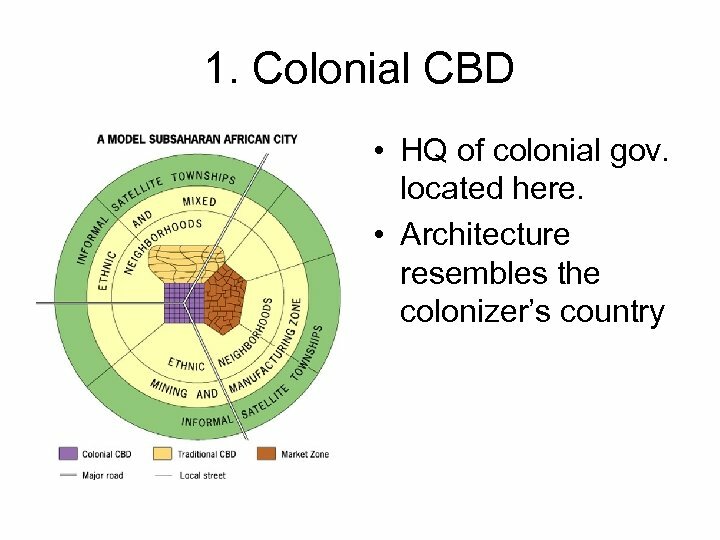 Gee Model • Asian cities mostly built on coasts for trade purposes • Port zone is focal point. 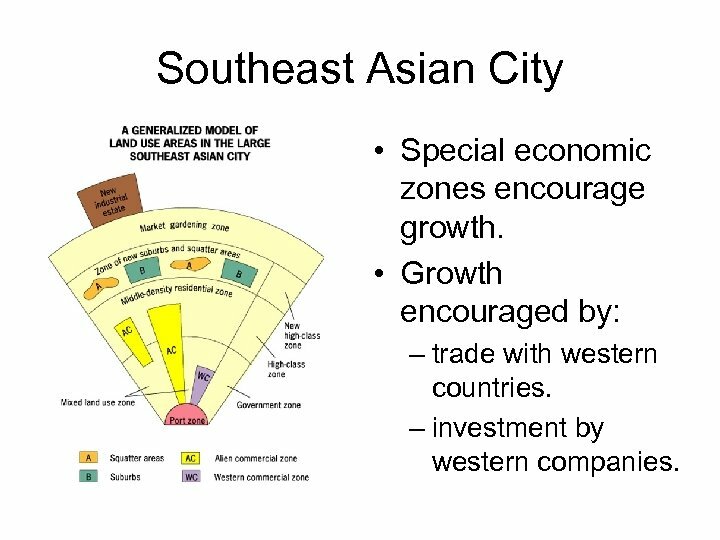 Southeast Asian City • Special economic zones encourage growth. 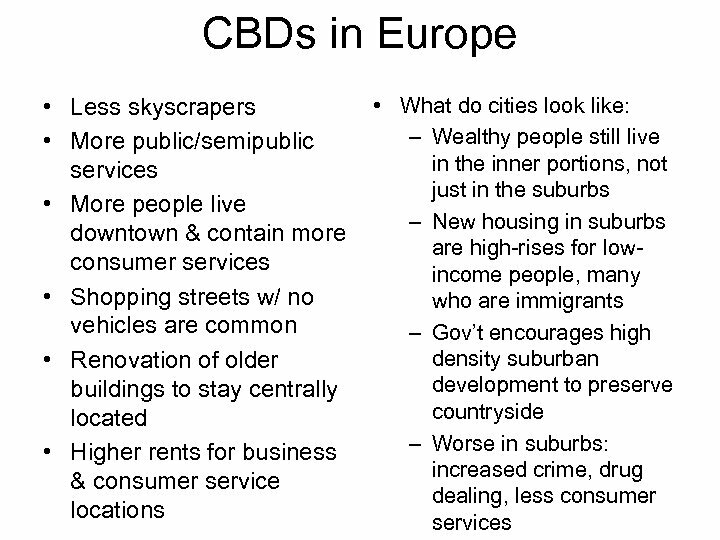 • Growth encouraged by: – trade with western countries. 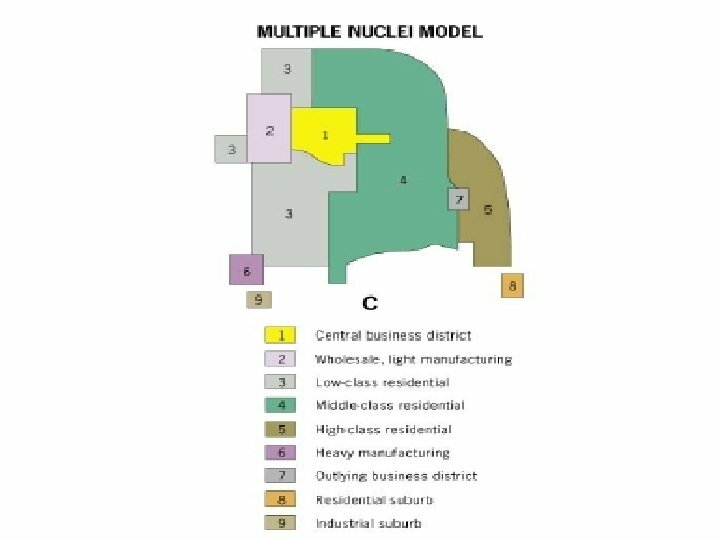 – investment by western companies. 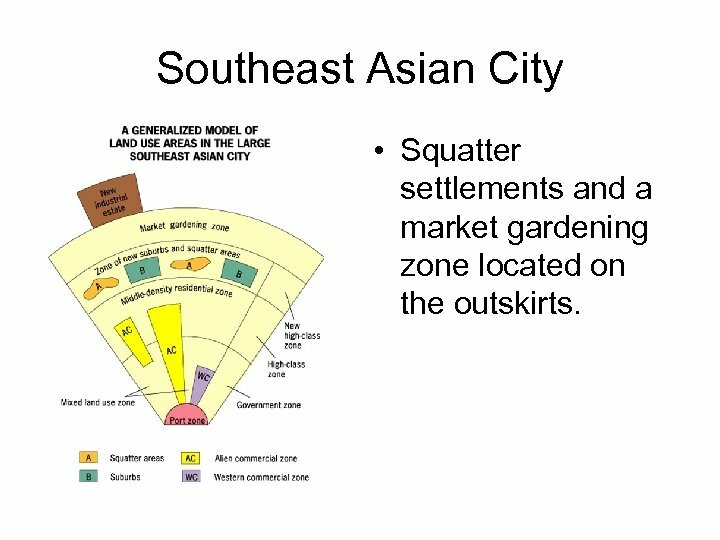 Southeast Asian City • Squatter settlements and a market gardening zone located on the outskirts.